One thing I am looking forward this spring is to play with my son outside. 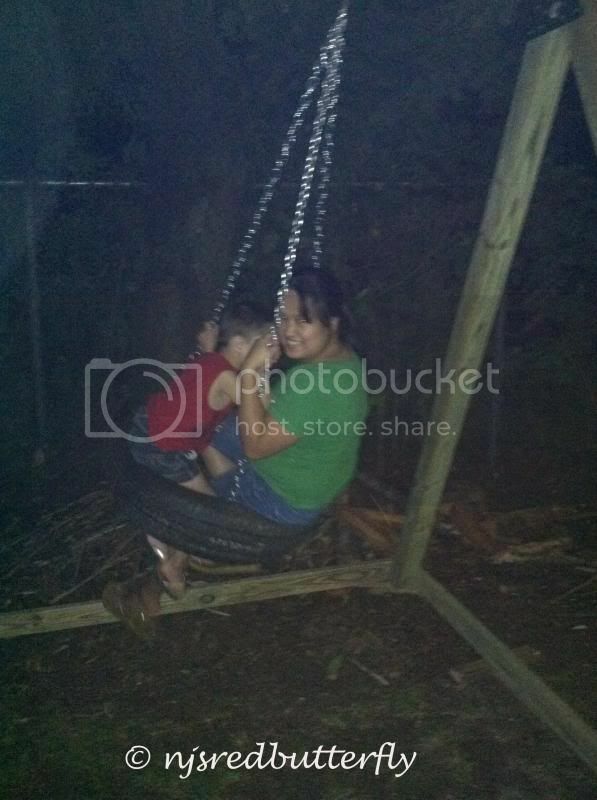 My Mahal built a nice playground set in our yard and one thing I like the most is the swing. 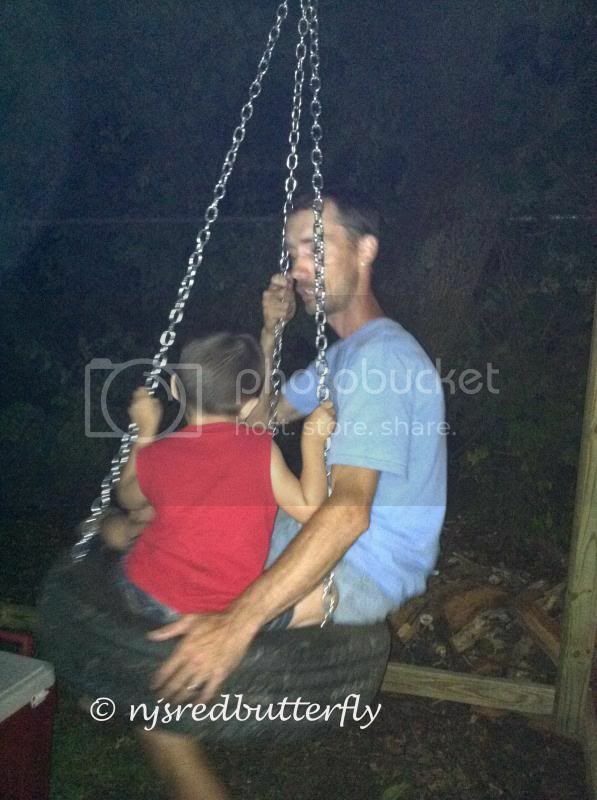 This photo was last year; we tried the swing after it is safely hooked up. Hubby has a spare tire that he never uses at all which belongs to the other car he solved 2 years ago. Anyways, the fun we have that night was just extreme. That’s why I can’t wait for the spring to come.